Supermarkets and drinks companies have been attempting to block a recycling scheme planned by the Scottish Government, prompting campaigners to urge them to “shut up” and not “peddle myths”. Asda, A.G. Barr and Highland Spring have been criticised for lobbying leading politicians – including Nicola Sturgeon, Fergus Ewing and Keith Brown – to weaken or delay the proposed Deposit Return Scheme (DRS) for drinks containers designed to reduce waste and littering. Scottish ministers are assessing a scheme under which 10 pence or 20 pence deposits would be paid on plastic, glass and metal containers for soft drinks, water and alcohol. People would get their money back when they returned the containers to retailers. But companies have claimed that DRS would hurt low-income shoppers. They have also argued the scheme would need to be UK-wide – but campaigners say this is a “ruse” to cause delay. The Scottish Parliament‘s lobbying register reveals that the supermarket chain, Asda, highlighted problems with DRS on 20 September 2018. The company’s corporate affairs manager and former Scottish Liberal Democrats head of policy, Polly Jones, had a “face to face” meeting with the rural economy secretary, Fergus Ewing. The meeting took place in an Edinburgh hotel during a Scottish Retail Consortium roundtable event. According to Asda, the purpose of the lobbying was “to discuss Asda’s perspective on the forthcoming deposit return scheme and the need to reduce the impact of the scheme on customers’ cost of living”. The Ferret previously reported efforts by big business to block DRS. One letter, released under freedom of information law, showed that Asda’s Jones wrote to Ewing in October 2015 saying that DRS would be “a regressive step that would penalise people on low incomes and cause serious inconvenience for shoppers”. Irn-Bru manufacturer, A.G. Barr, has also lobbied Ewing, along with the First Minister, Nicola Sturgeon, on DRS. The company’s chief executive, Roger White, raised concerns that a Scotland-only scheme would “add considerable cost and complexity” during a dinner in the First Minister’s official residence in Edinburgh, Bute House, on 11 September 2018. A.G. Barr’s commercial director Jonathan Kemp, also had an “informal discussion” about DRS with the Conservative finance spokesperson, Murdo Fraser MSP, at a conference in Crieff Hydro hotel on 8 June 2018. According to the lobbying register, Kemp stressed “the need for any system to operate on a GB and consistent basis”. An internal briefing from the Scottish Government in March 2017 released under freedom of information law said that A.G. Barr “continues to argue against deposit return”. The company was one of the supporters of a group set up to lobby against DRS called the Packaging and Recycling Group Scotland (PRGS). The PRGS, which is now inactive, employed the lobbying firm Charlotte Street Partners to help push its arguments. In January 2015, A.G. Barr’s Kemp was one of six PRGS leaders who met with then environment secretary, Richard Lochhead. The bottled water company, Highland Spring, lobbied the then economy secretary, Keith Brown, at the Scottish Parliament on 2 May 2018. Four company executives met him “to understand the Scottish Government’s intentions and plans around driving the circular economy in relation to plastics” and to discuss DRS. Highland Spring has sites in Moray, Blackford, Lennoxtown and Wales. It is owned by a company based in Liechtenstein controlled by Emirati billionaire, Mahdi Al Tajir, and his family. The company told The Ferret that it supports an “efficient, cost-effective and integrated DRS in Scotland”. But it previously expressed concerns about the scheme, telling a 2018 government consultation that the value of the deposit should be low or zero. A survey by Highland Spring was quoted by the government as suggesting that demand for bottled water would decrease substantially if the sale price of its products were increased to cover even the lower rate of deposit of 10 pence. The company also warned of the dangers of only having a Scotland-wide scheme. “There could be a risk of fraud if there is not a consistent scheme across the UK,” a spokesperson told The Ferret. Friends of the Earth Scotland said that deposit schemes work well in other countries and are popular with the Scottish public. “While industry has mostly given up trying to stop a DRS being set up in Scotland, some of them are still trying to weaken or delay it,” said the environmental group’s director, Dr Richard Dixon. Greenpeace UK urged industry to accept a scheme that included containers of all sizes and materials to cut waste. 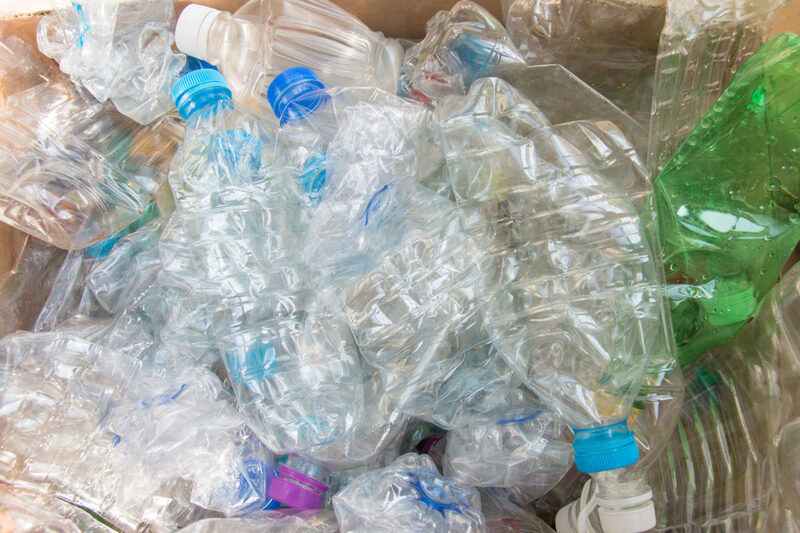 “With a truckload of plastic ending up in our oceans every minute, the industry should waste no time to back a fully comprehensive deposit return scheme,” said the group’s plastic pollution campaigner, Paul Morozzo. The lobbying register shows that in October 2018 Greenpeace met with Conservative MSP, Maurice Golden, to discuss plastic pollution and waste management. In August, Friends of the Earth Scotland met with five MSPs in Oslo during a fact-finding mission to look into deposit return schemes. Many businesses, particularly small ones, have indicated their support for a DRS. Over 100 organisations have signed up for the pro-DRS ‘have you got the bottle’ campaign. Zsuzsa Farrell, founder of Leithers Don’t Litter, also wants a DRS. “It’s nonsense for the drinks industry to claim that a deposit return scheme would penalise people on low incomes,” she said. She accused the drinks industry of caring about its shareholders rather than people on low incomes. “People on low incomes are perfectly capable of bringing their empties back and getting the deposit,” she argued. According to the Association for the Protection of Rural Scotland, the case for a DRS in Scotland has been won. “Many drinks producers and retailers see the benefits it will bring for their business,” said director, John Mayhew. Scottish Greens environment spokesperson, Mark Ruskell MSP, pointed out that a DRS for drinks bottles was a Green manifesto pledge in 2016, recognising growing public concern about waste. “Businesses should embrace the direction of travel rather than be left behind,” he said. Despite the lobbying, the Scottish Government remains supportive of a DRS. Ministers are currently considering the results of a public consultation with the aim of putting in place “the best deposit return scheme for Scotland”. Countries which currently have a DRS include Germany, the Netherlands, Iceland, Lithuania, Estonia, Croatia, Israel, the Scandinavian countries and parts of the US, Canada and Australia. Asda referred to the latest statement from the Scottish Retail Consortium, which described a Scottish DRS as “an incredibly ambitious, but immensely complex and costly proposal”. The scheme risked “cannibalising household recycling”, said the consortium’s head of policy, Ewan MacDonald-Russell. MacDonald-Russell warned that deposit return vending machines could cost retailers between £80 million and £280 million, which would have to be recouped from consumers. “The Scottish Retail Consortium believes a properly designed and targeted deposit container return scheme could play a role in improving recycling and reducing litter in Scotland,” he added. Germany has managed to do this for over 25 years…. There is nothing wrong with the business community making known its views to elected representatives about proposed regulations or legislation, as it relates to their business interests. Equally, individuals or citizens groups are also free to lobby politicians on any issue. However, lack of trust in big business has grown in recent times because conversations with the political elite are being conducted in secret, behind closed doors, with the commercial interests of business placed at the forefront, instead of the interests of citizens – one of the reasons why Boris Johnson was prompted to utter the words “f**k business”. In the last Parliament, there used to be a forum bringing together senior politicians and industry leaders to discuss the most pressing needs of the economy – it was called the Business Advisory Group. (a) It had been high-jacked by big business who were using it to contrive situations which would, in effect, shield them from having to ‘feel the heat’ of competitive market forces. (b) Big businesses were exploiting the special relationship with government to construct regulatory moats, secure public funds to serve their own narrow business interests, or bend specific rules to their will and in the process, stifle competition. Another reason for doing so was that the Business Advisory Group only served to facilitate clandestine political engagement between the governing elite and big business, with no room for the voice of the unrepresented many, like small and medium-sized enterprises to be heard. In so doing, the Prime Minister sent out a strong signal that she will look upon SMEs much more favourably, when deciding how to spend public funds – because they offer flexibility & adaptability, original thinking & niche expertise, bring long-term commitment and exhibit a sense of patriotic responsibility towards British workers in a way others have not. After all, SMEs are the lifeblood of the UK economy and should rightly be given equal access to publicly-funded contracts which have hitherto, been monopolised by the Select Few. It is considered a necessary evil in well-functioning democracies for big business to lobby agencies of the State to try to skew the rules of the game in their favour – which they achieve through clandestine political engagement. Defence Contractors are accomplished practitioners in the art of clandestine political engagement, also referred to as behind-the-scenes lobbying. Instead of employing talented engineers, problem-solvers, innovators and doers, they prefer to engage expensive parliamentary lobbyists so that they can deploy these people to swing the decision on down-selection, by circumventing MoD’s weak competition process – where it matters most, in the corridors of power using arguments that have nothing whatsoever to do with the qualities of the equipment being offered! It should be noted that the big players in the UK Defence Industry, the Select Few, don’t even bother to submit written evidence to parliamentary inquiries into Defence Procurement (an issue which has a profound impact upon their business prospects), because they consider secret, “back channel” access to the Executive a much more effective way of continuing to influence policy – with the objective of keeping it skewed in their favour. This is, as good as any other reason, to drain the swamp!